When it comes to purchasing office furniture, it’s all about marrying functionality with a stylish look. You need the right size desk with the features you want, a comfortable chair to sit in and bookcases to keep you organized. Let’s not forget task lighting to keep your eyes healthy! 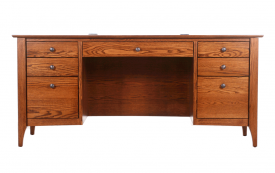 Locally made with care and integrity, nearly every desk, file cabinet and bookcase can be customized, so it’s a perfect match for you and your space. Our pieces stand up to decades of use and look all the better for the wear. At Riley’s Real Wood Furniture of Eugene, our office furniture works as hard as you do. The most important part of any office setting is where you’ll actually be doing your work, so having a quality desk is a must. 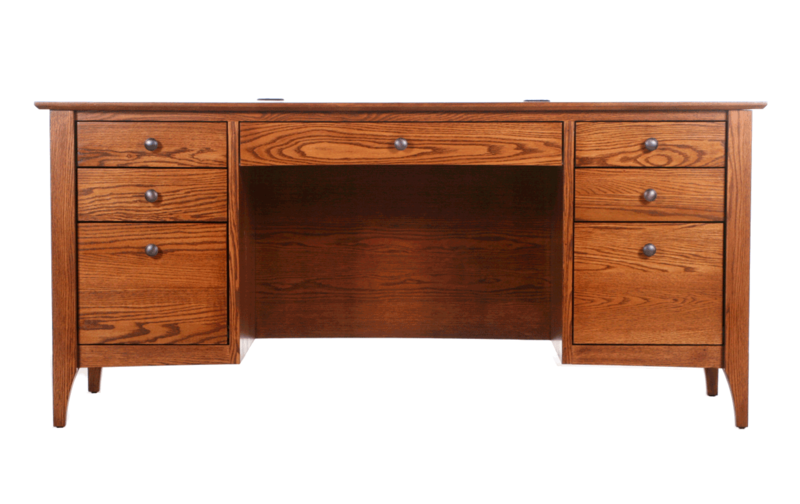 At Riley’s Real Wood, we sell handcrafted wood desks that offer the stylish look you want and the functionality you need. 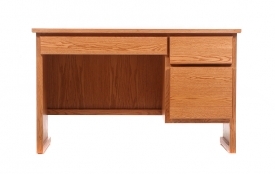 Coming in a variety of sizes and shapes with features like keyboard pullouts and high quality European style drawer slides, you’ll find the desk that will be the perfect fit for your home or office. Where is it written that file storage needs to be unappealing? 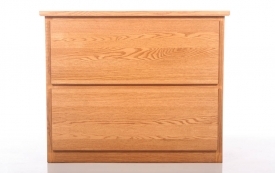 We carry a line of beautifully handmade wooden alternatives to those metal file cabinets which often clash with the décor of your home or office. Every model we sell at Riley’s comes with heavy-duty, full extension, ball-bearing slides, so you know your purchase is built to last for years to come. Depending on your job, you might end up spending more time sitting in your office chair than you do in any other. So why not make sure you have a great ergonomically designed chair with the features you desire? Whether you want a comfy leather chair or one with a breathable, air grid fabric, Riley’s Real Wood has you covered. 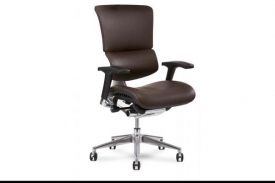 All of our office chairs have great lumbar support because you shouldn’t spend your work day in a chair that isn’t taking care of you. Our bookcases will make an excellent addition to any living or work space. Our handmade, wood bookcases only get better looking with age which is great because they are built to last. No work space is complete without task lighting. Our desktop and floor lighting options have a variety of styles from the classic Banker’s Desk Lamp with its bronze frame and frosted glass shade to the modern Wendell Table Lamp which has two organizational slots and two USB ports to hold your phone or tablet while it’s charging. At Riley’s Real Wood Furniture of Eugene, we are proud to be a local store serving the Eugene and Willamette Valley area, and we are always excited to have vendors who are just as committed to the local community as we are. 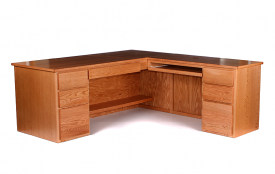 Almost all of our wooden office furniture is made by JenCo Furniture right here in Eugene. Since 1990, JenCo has been creating beautiful, handmade pieces whose quality can’t be matched by mass-produced items. Almost all of the wood used in JenCo’s products comes from Oregon, so by choosing Riley’s for your office furniture needs, you’re helping to support Oregon jobs at practically every level of production. All of our office furniture is available for pickup in Eugene or for delivery throughout the greater Willamette Valley area.